Learning to save at an early age is important. 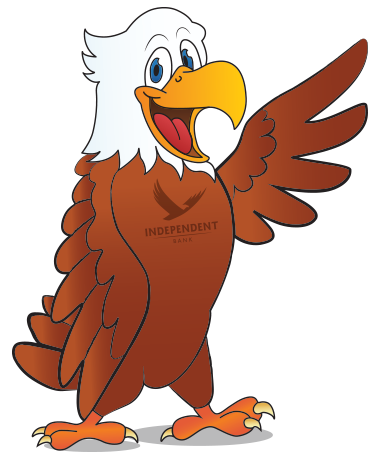 Independent Bank’s eagle mascot, Swift, encourages young people under 18 to begin saving early. The account earns interest, plus there’s no minimum balance and no fees for children under 18. Introducing the Swift Savers Kids Club! We are making saving cool with an official club! 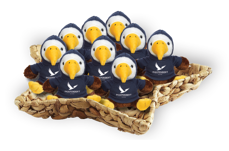 All kids who open a Swift Savings account will receive a FREE coin booklet and Swift eagle plush toy. Plus, once they fill the coin booklet with $5 worth of quarters, we will match their deposit into their savings account! 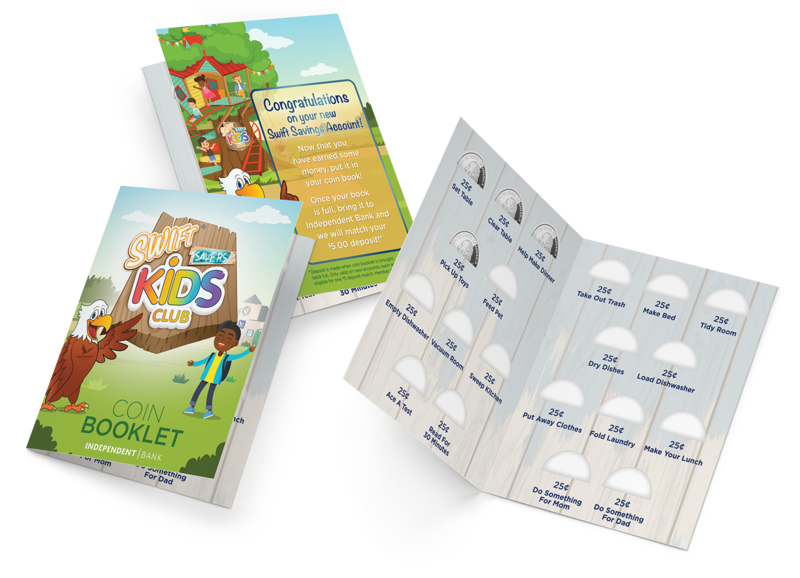 * The coin booklet encourages kids to complete household chores, help take care of the yard, or help their parents to earn money. 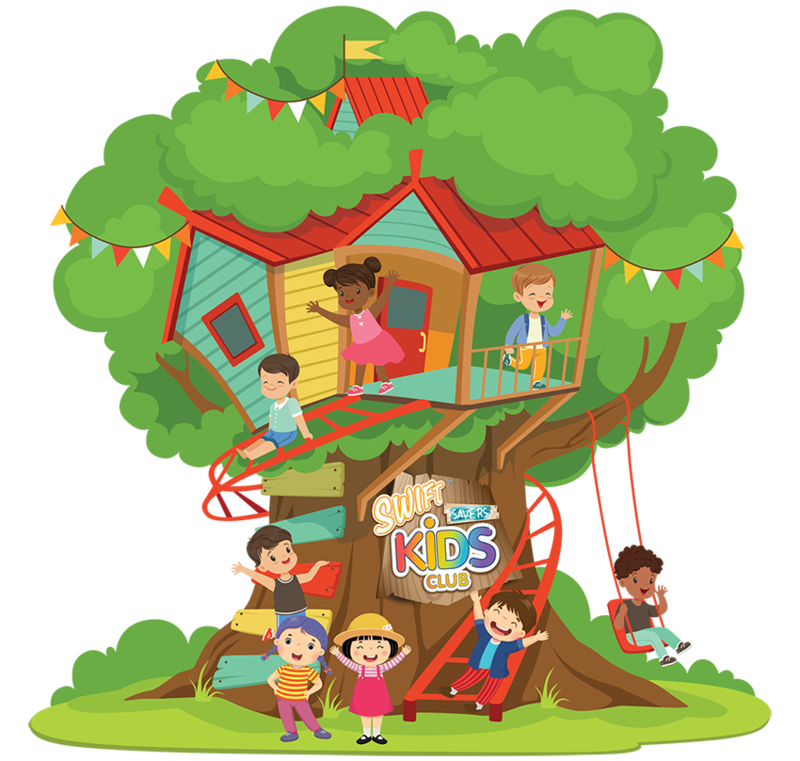 All existing Swift Savings account holders, ages 4-12, will automatically be enrolled in the Swift Savers Kids Club. Stay tuned for more fun to be added to the club! *Deposit is made when coin booklet is brought back full. Only valid on new accounts; each account eligible for one $5 deposit match. Account must be opened in-person at an office to receive plush Swift eagle and coin booklet.